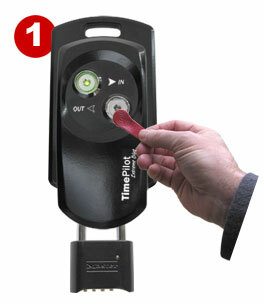 Employees clock in and out by tapping their iButton to the clock. A tone sounds and the probe lights up to confirm a successful transaction. 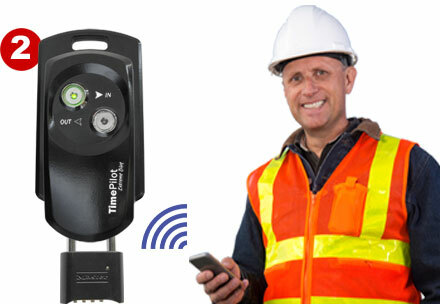 When it's time to download the data from the clock, the supervisor taps a special Management iButton to the clock to identify himself or herself as a supervisor, then taps an icon on their iPhone or Android phone to download the data. The data is instantly transferred from the clock to the phone. The clock also keeps the last 12,000 transactions in its memory, so if you lose your phone, you can download the data again. 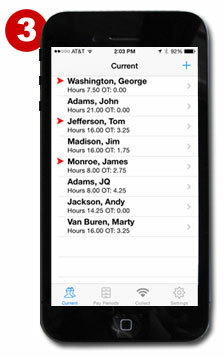 On the phone, you'll see a list of your employees and their total hours for the pay period. Did an employee forget to clock in or out? 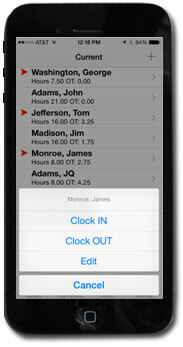 You can add the clock-in or clock-out right at your phone. Just tap and hold the employee's name for a few seconds. 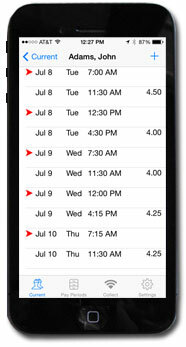 A simple tap on the employee's name, and you can see exactly when they clocked in and out each day. Need to insert or edit a transaction? Just tap and hold the employee's name for a few seconds.